Running back Jafar Armstrong opened the 2018 season with two rushing touchdowns in the first start of his career. The 6-foot-1, 220-pounder is now looked at as one of the leaders on the Irish backfield as he enters just his second year at the position. 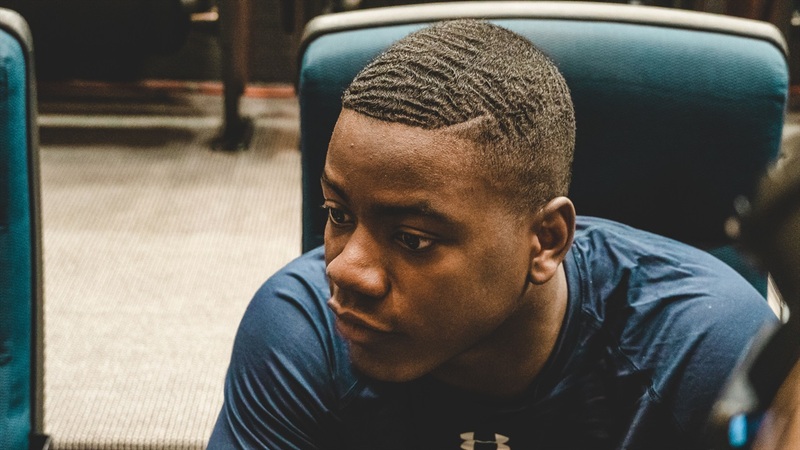 It might be a somewhat of a balancing act as Armstrong tries to continue to improve at the position while leading a young running back room along with Tony Jones Jr.
“The spring is a time to get better,” explained Armstrong. “You’re not game planning every week. You’re working and improving your craft each week. I’m learning from what I’ve taken from last season with injuries and it’s year two in my position. Everything is a lot clearer for me. The Kansas native will be the first to tell you he had a lot to learn and has plenty of room to grow now, but one area he has emphasized this spring has been pass protection. It might seem like an afterthought to some, but it’s crucial to getting on the field. Bringing along early enrollee Kyren Williams has been part of Armstrong’s leadership role this spring. It’s a long season and Notre Dame will likely have to play multiple running backs and Williams has impressed his peers early on. Armstrong rushed for 383 yards and seven touchdowns while adding 159 receiving yards last fall. He hopes to showcase his ability to catch out of the backfield more this fall, while also showing he’s improved as a runner. The next step for Armstrong and the Irish backs is to produce big plays, which is the goal under new running backs coach Lance Taylor. Armstrong wants to make plays with and without the ball in his hands as Notre Dame tries to get back to the College Football Playoff.